There are certain treatments for sports injuries which are common to almost all situations. However, if your injury is severe, you should immediately visit the nearest hospital accident & emergency department (A&E). If you do not need immediate medical assistance but you are in pain or experiencing swelling, numbness or discomfort, you should make an appointment with your doctor as soon as possible. Ice – Apply ice packs to the affected area for period of between 10 and 30 minutes. Be sure to place a towel over the injured area before applying the ice pack as direct contact with the skin can cause an ice burn. Compression - In order to reduce swelling and also to restrict movement, compression bandages can be used. Elevation – By raising the injured limb to a comfortable and elevated position, swelling can be reduced, and the limb will be at full rest. Attempt to move the injured area, and remove compression bandages. At this stage, heat and massage can help to increase the blood flow to the area. What if RICE therapy is not sufficient? Although RICE therapy is widely used for many sports injuries, it may not be sufficient for more serious injuries. Some additional treatment may be required, and examples of these are given below. Pain relief (analgesics) The most common kinds of painkillers are paracetamol and ibuprofen. These can be used in conjunction, as ibuprofen is an anti-inflammatory and can help to reduce swelling, while paracetamol eases pain. It should be noted that ibuprofen is not recommended for use by those with a history of asthma, kidney or liver disease. Immobilisation – By reducing the movement of the injured limb or area, we allow the injury to heal and prevent further injury. Immobilisation can often reduce pain, swelling and any spasms, while allowing the blood to flow more easily to the injured area and assisting the healing process. Examples of immobilisation include the sling for the shoulder or arm, a splint for injured bones, a plaster cast for broken bones and a neck brace. Cortisone Injections - If inflammation is severe it may be necessary to have cortisone injections in the injured area. A cortisone injection uses steroids to reduce swelling and relieve the painful symptoms associated with muscle and ligament injuries. Surgery – Surgery is sometimes required for severe injuries, to repair torn tissue or pin/repair broken bones, though most injuries can be resolved without the need for surgery. 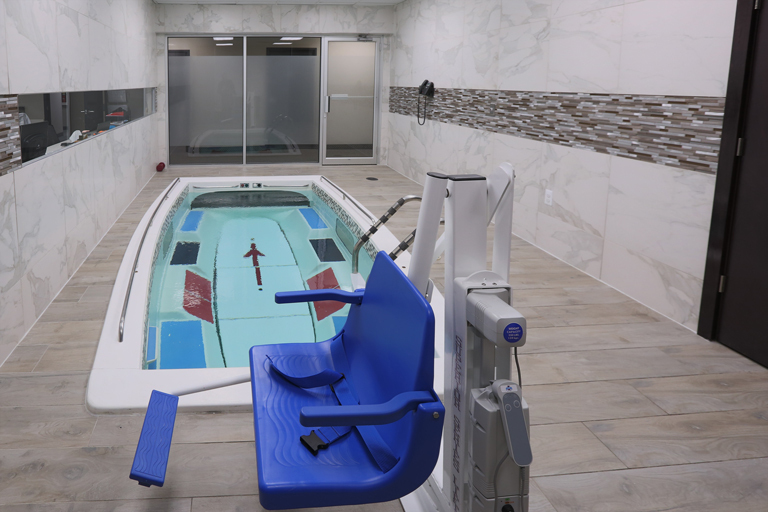 Our team of Detroit Physical Therapy experts will design a treatment plan based on your goals, lifestyle necessities, and work-related needs.